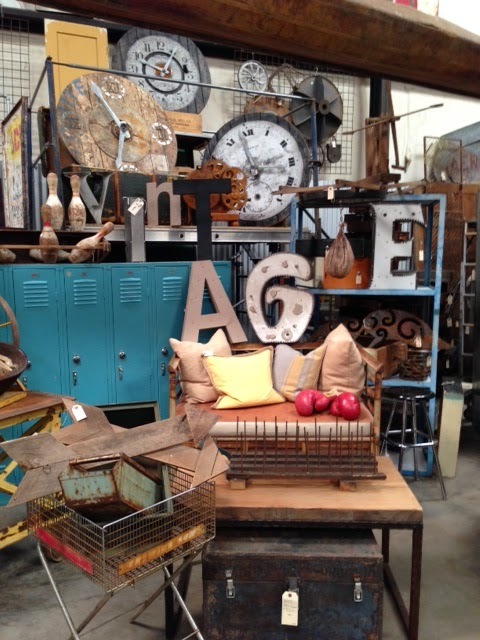 Every month the Sweet Gang meets for our Courtyard Warehouse Play Day. 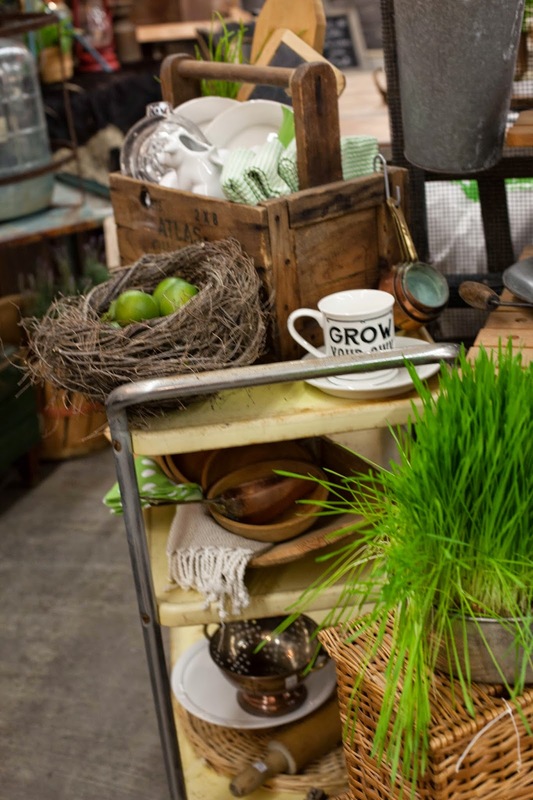 As a collective team we deconstruct previous displays in the areas, create a new vision, organize the fresh merchandise and get busy with it. It's a growing team of about 20 creative people all working together like clockwork....here's a little peek of how the morning played out yesterday. 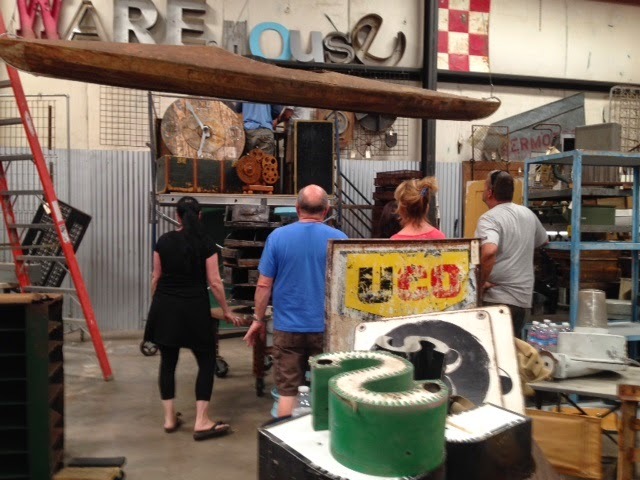 The Sweet Team arrives at 10 am and we begin with a short round robin group meeting . 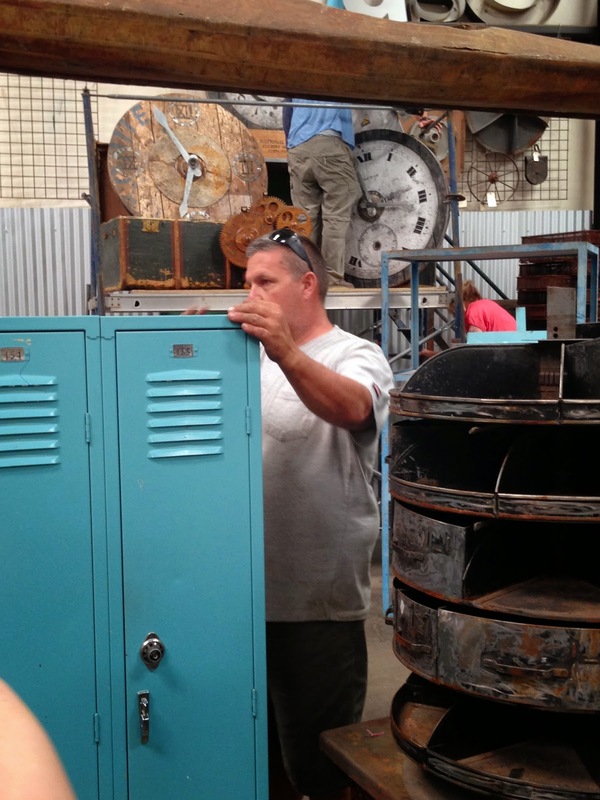 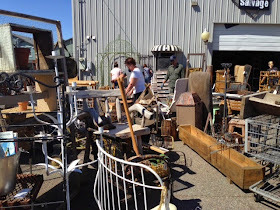 You can see there was a TON of new inventory everywhere. 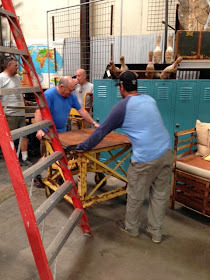 Looking around and making a plan, well that's where this team shines. 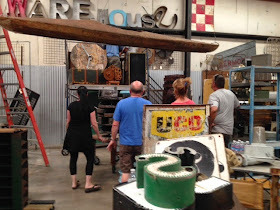 Dividing the areas into zones with a story or theme helps to make sense of such large spaces. So gazebos go up, large statement pieces and backdrops go into place. Pretty soon, well it all becomes super awesome. Sometimes it's a matter of stepping back together and collectively deciding the next element. 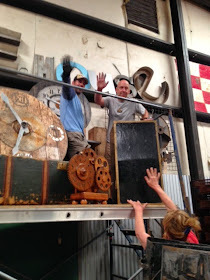 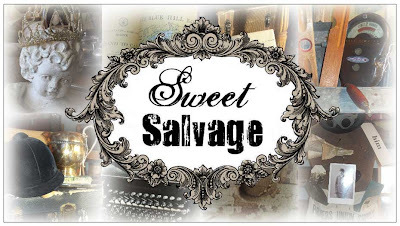 After a few hours of hard team work Sweet Salvage's Courtyard and Warehouse are complete and ready for you!~Back Roads and Blooms begins this Thursday at 10am and continues through Sunday. 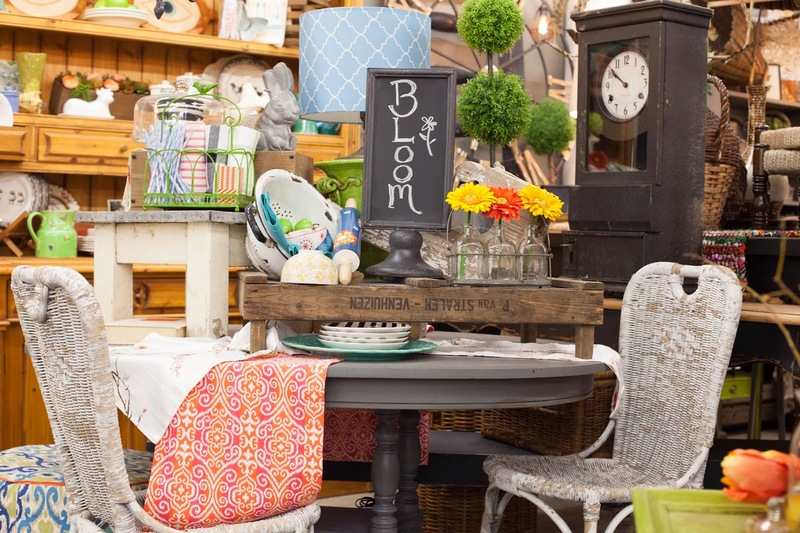 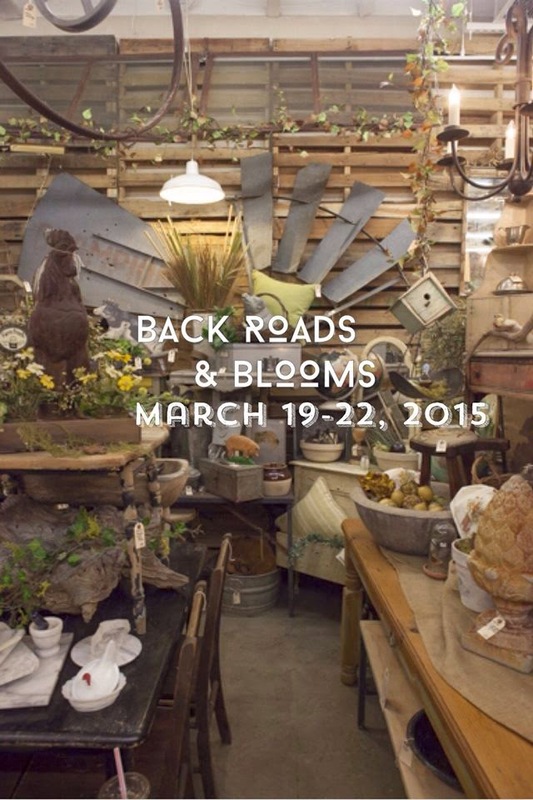 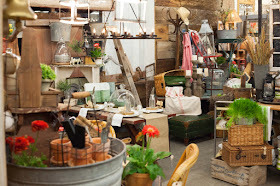 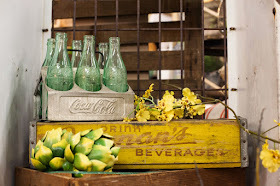 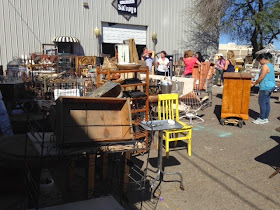 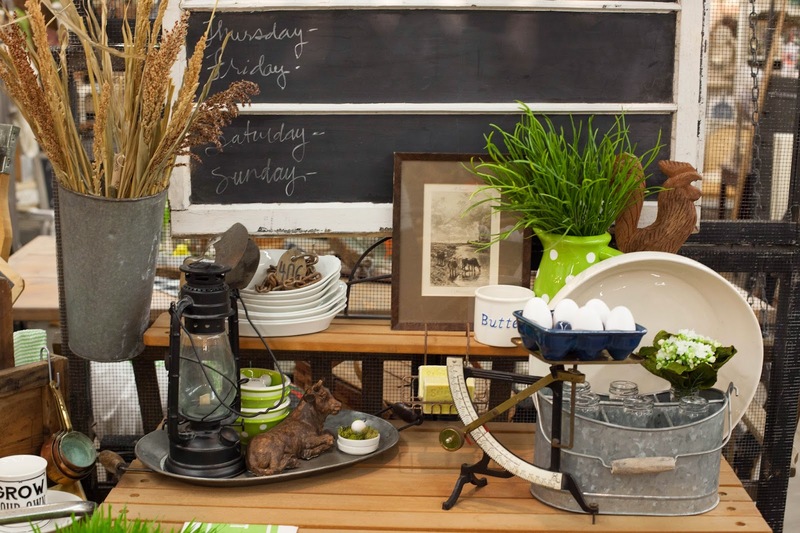 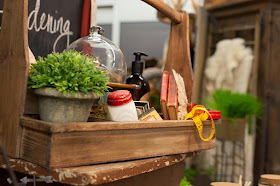 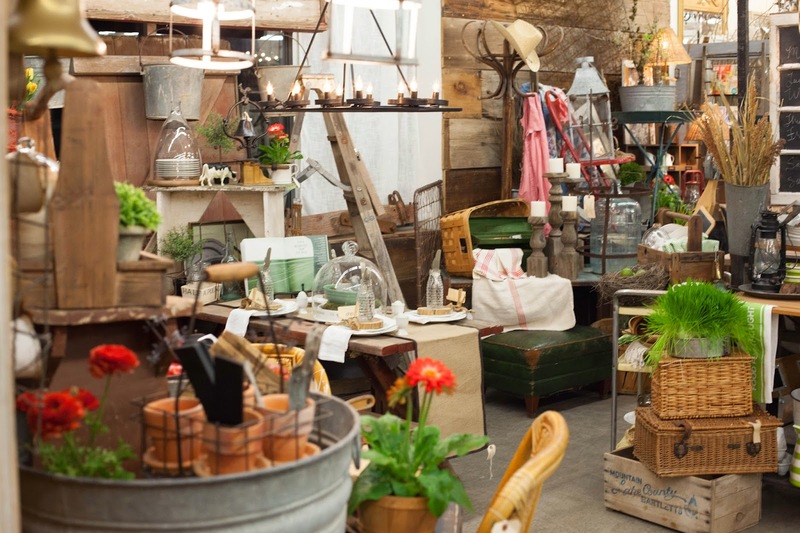 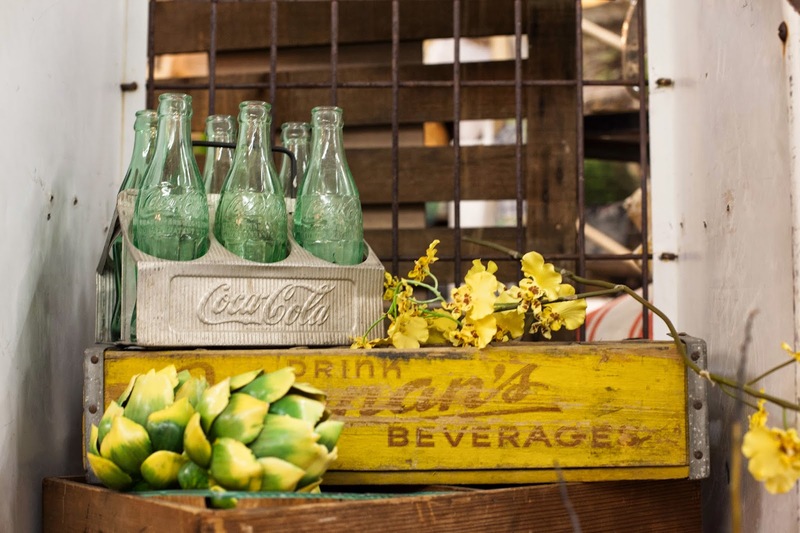 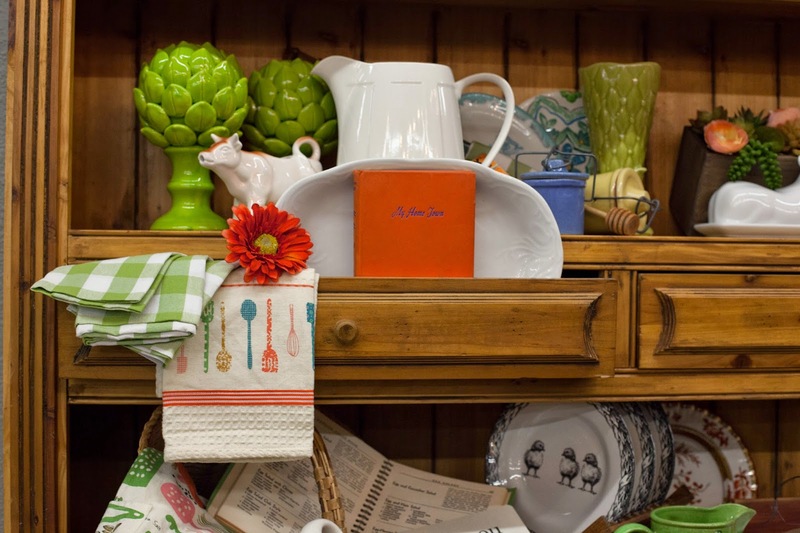 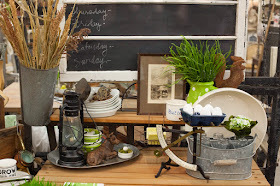 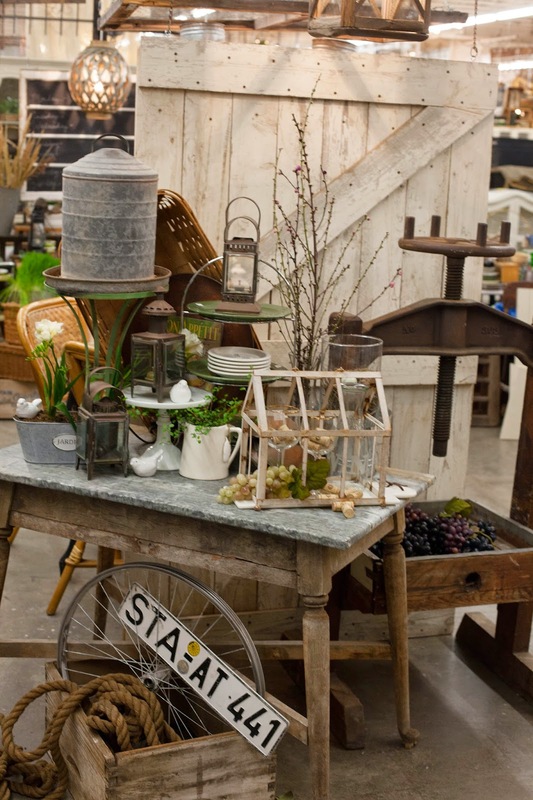 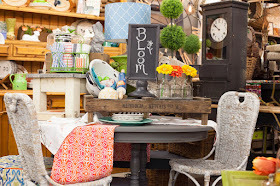 Sweet Salvage's Back Roads and Blooms event, March 19-22, is a Spring inspired, layed-back, easy farmhouse living 4 day vintage market not to be missed. 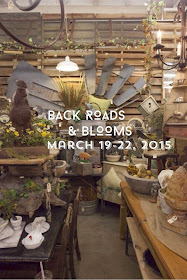 One of our favorite shows of the year. 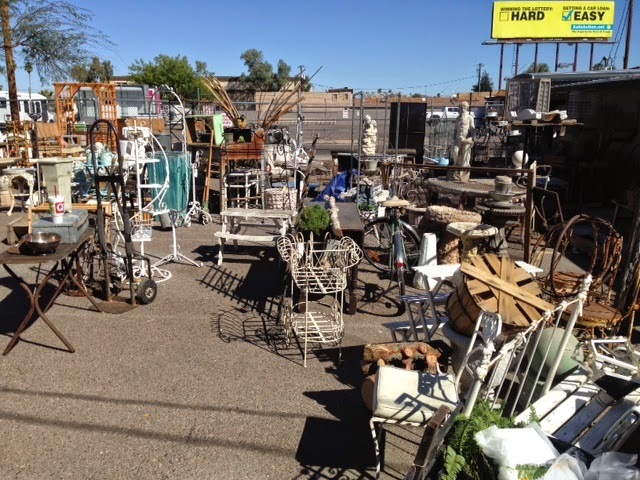 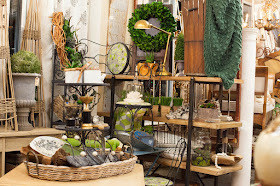 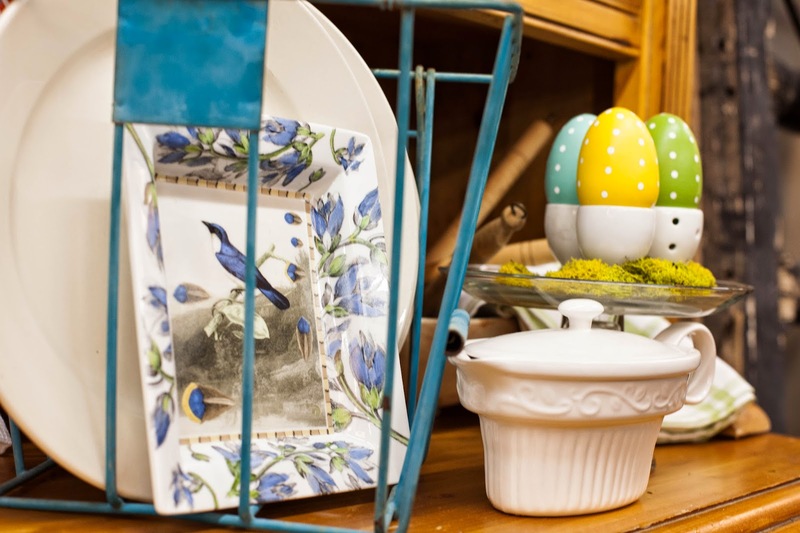 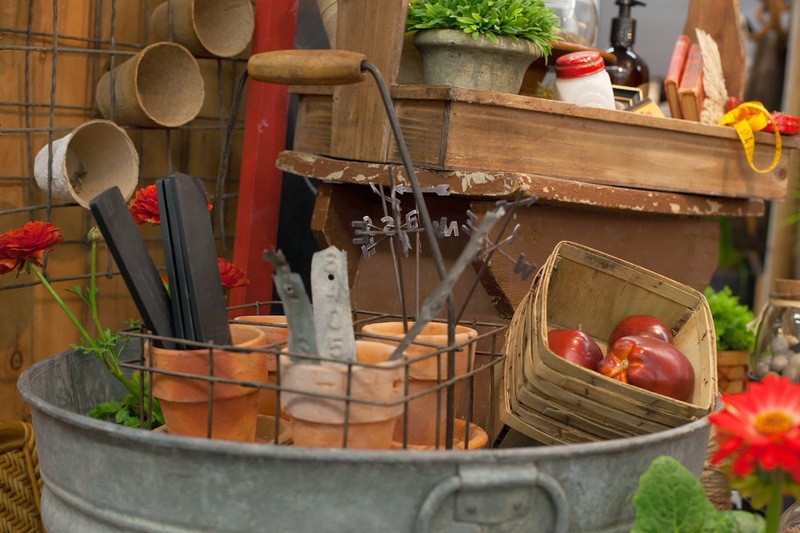 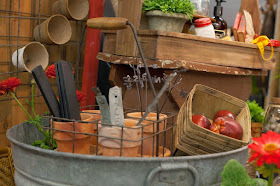 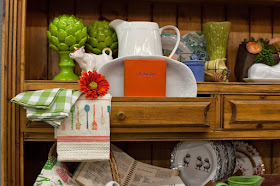 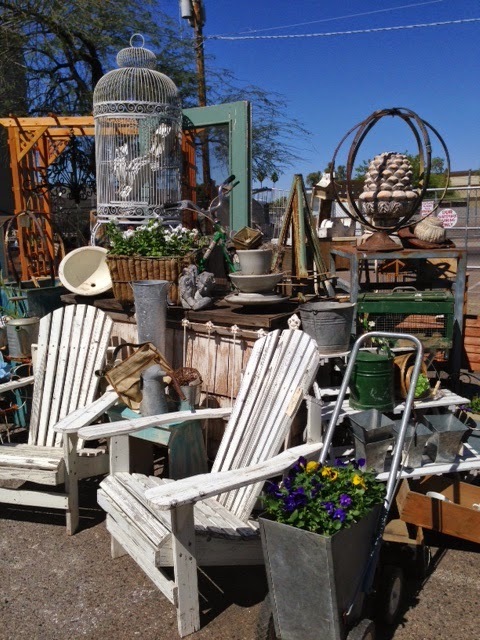 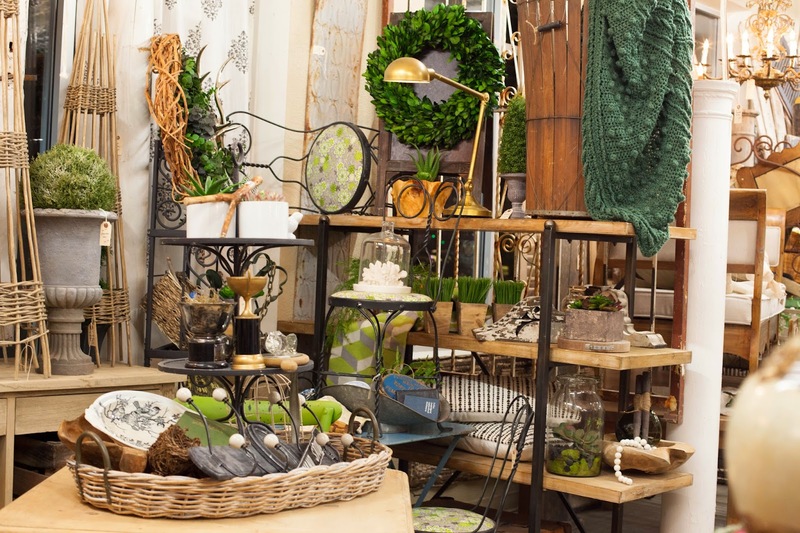 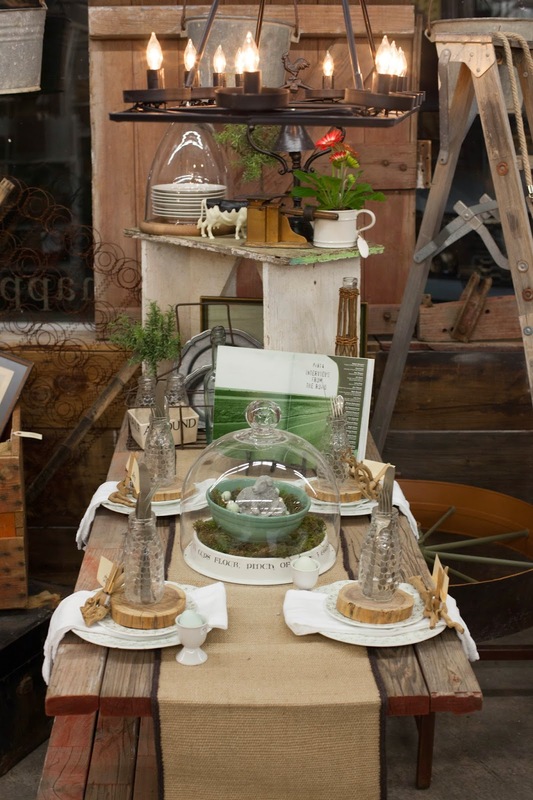 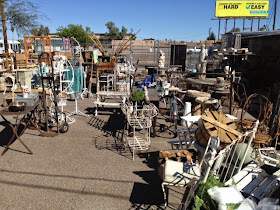 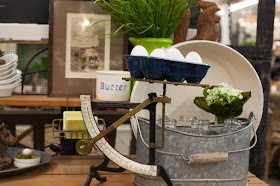 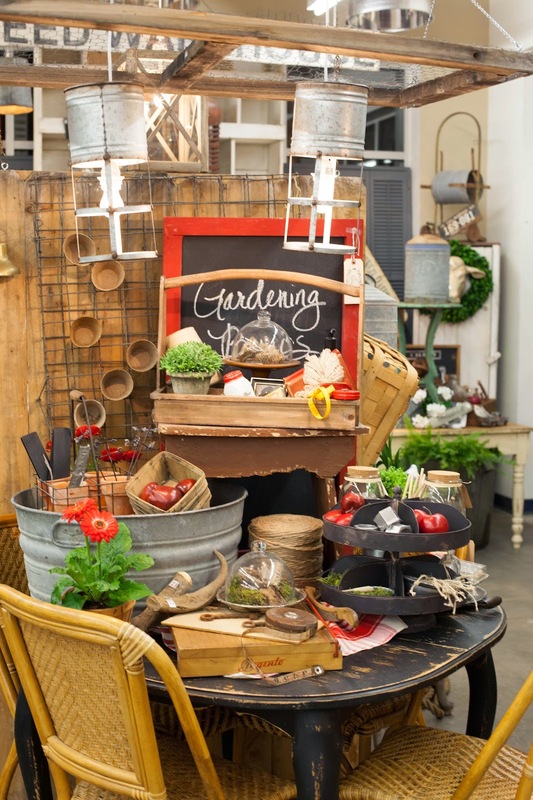 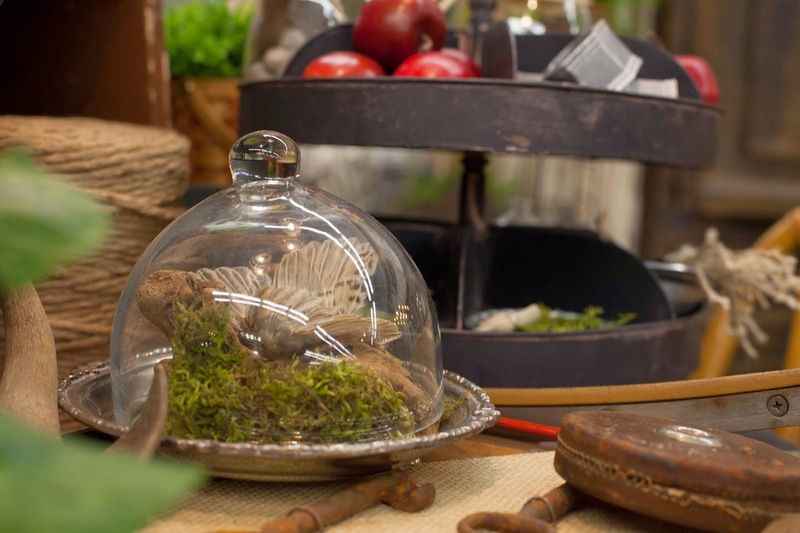 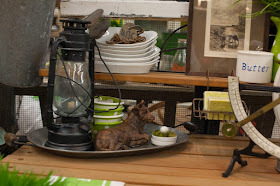 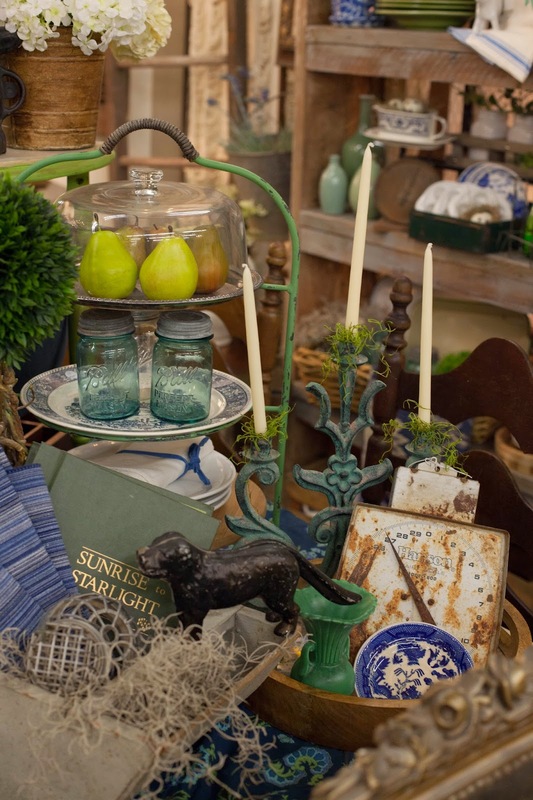 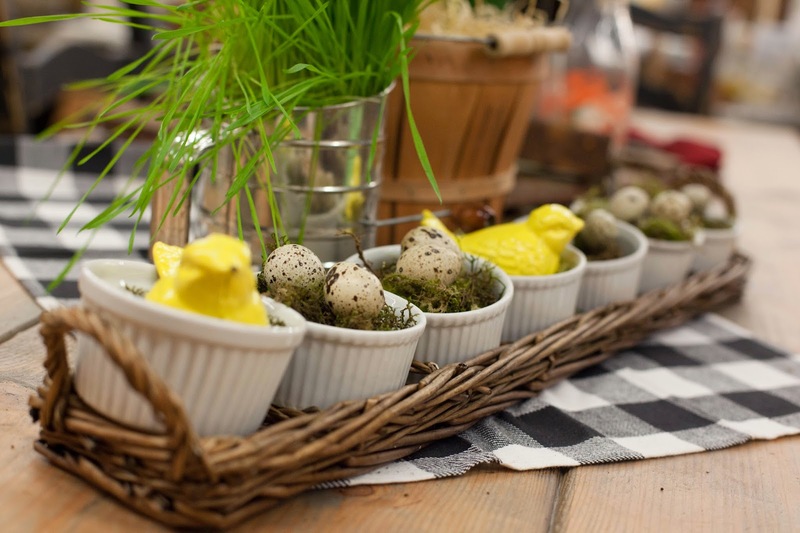 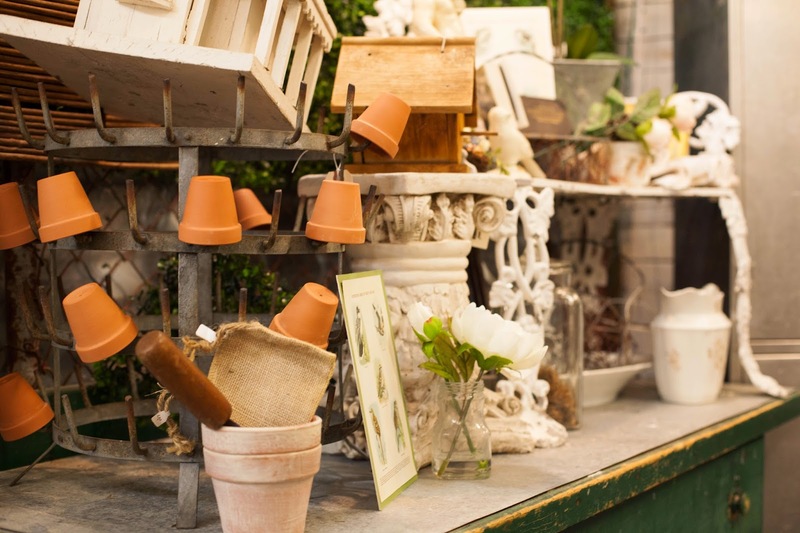 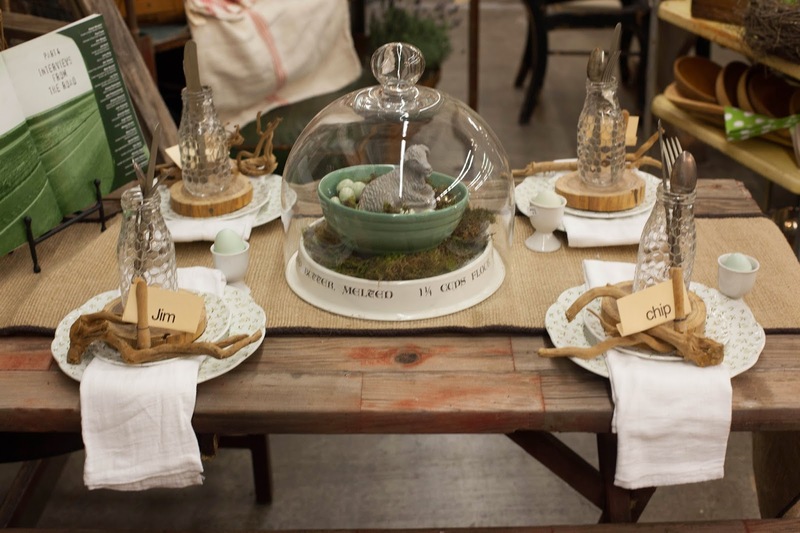 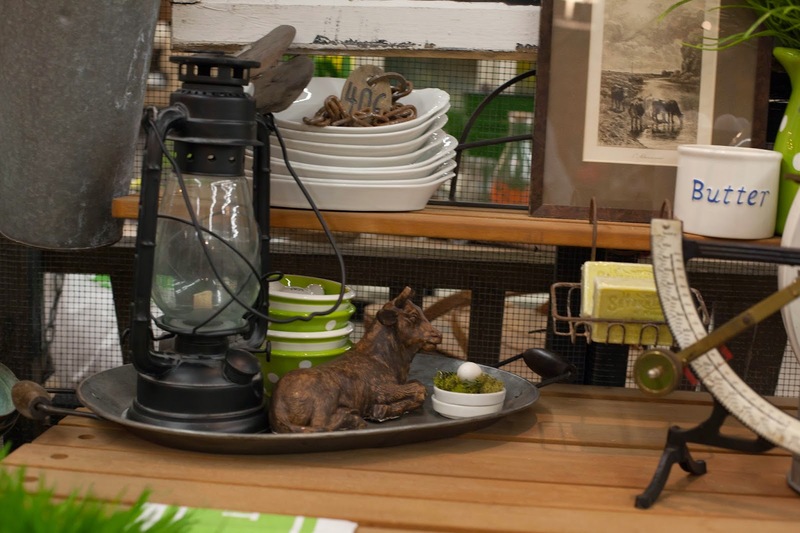 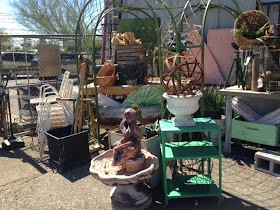 Sweet Salvage will be filled with incredible spring time vignettes, Easter holiday decor ideas and all the necessities you need for a fabulous spring time garden. 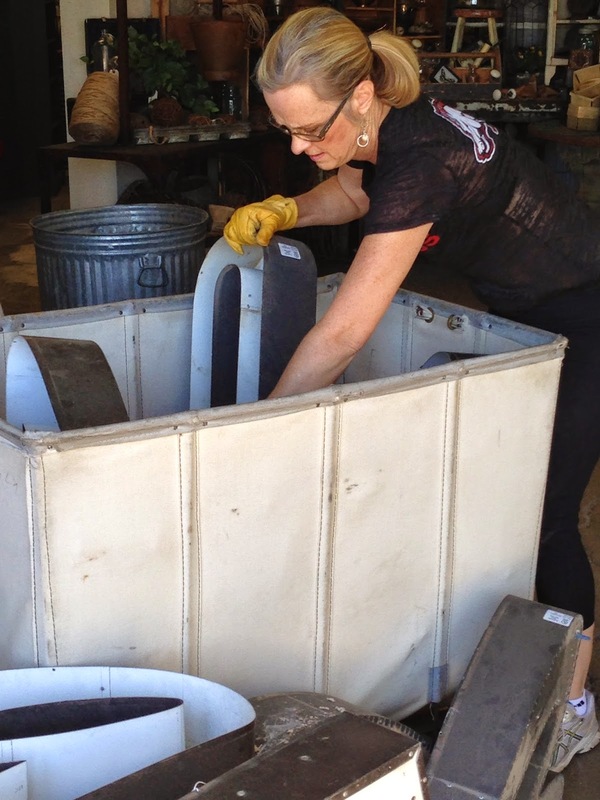 In addition, we are thrilled to announce, a very special guest artist Vangie Rodriquez. 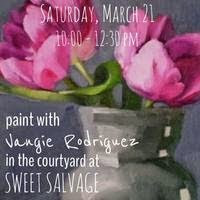 Vangie will be hosting a painting class in our courtyard on Saturday March 21st. 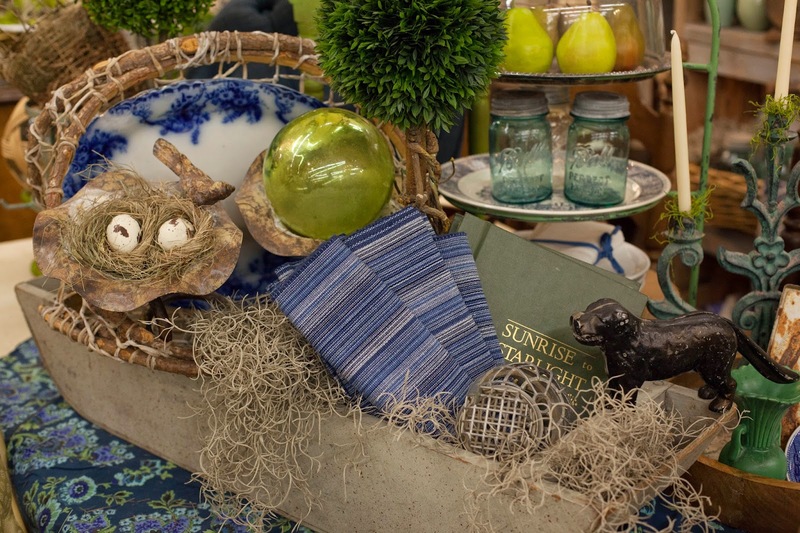 Vangie's beautiful nature and amazing talent makes for one fabulous art instructor. 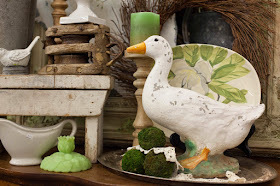 Even if you have never painter before, this is a great opportunity to learn from a wonderful teacher. 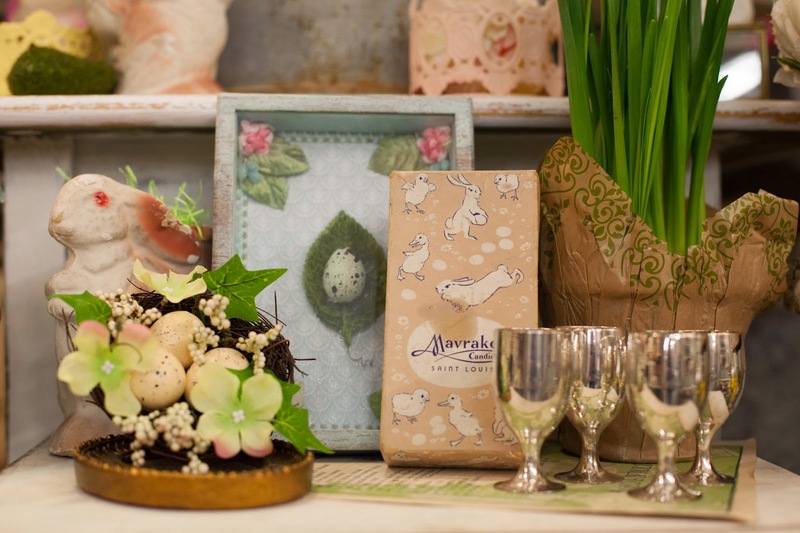 All supplies are provided, What a fun filled way to spend a magical springtime afternoon. 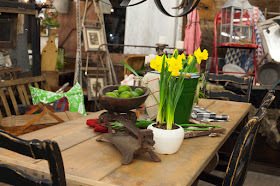 Please click on the link for further information.